After a mostly dry weather day today…break out the umbrella for the next 5-7 days! Forecast models continue to trend towards a soggier weather pattern with daily pop-up thunderstorms expected each and every day. The positive? High temps will trend slightly cooler than average with the added rain coverage. In the tropics: No imminent threats for our area. Gordon has been downgraded to a tropical depression as the circulation continues to spiral in central Mississippi. As the system drifts northwest, our southerly wind flow will become re-established…and rain chances will pop back up tomorrow. 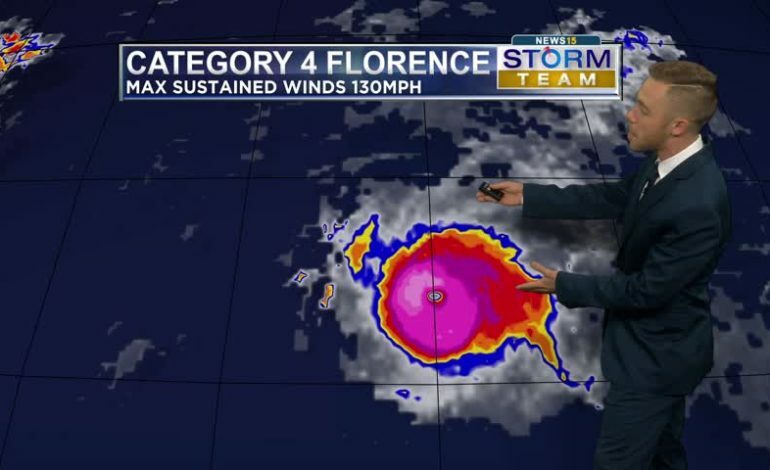 Florence is now a beast Category 4 Hurricane in the open Atlantic. Long term prospects on this system still uncertain, and the East Coast and Bermuda should keep a wary eye on this system. Invest 92L near Africa has a 90% chance of becoming Trop Storm Helene. And another wave near Africa has a 30% chance of becoming Trop Storm Isaac in 3-5 days. Neither are of any concern in the near term.